This map, provided by the Norwegian Intelligence Service, shows the route followed by the 11 Russian Fencer strike aircraft flying in two waves “attacked” the town of Vardo, where Norwegian AEW radar are located in Norway’s northernmost town. Flying in attack formation, the group of Su-24 attack aircraft turned away just before Norwegian airspace. Haga Lunde had earlier in the day presented Focus 2019 (in Norwegian), the intelligence service’s report on threats and security analyses. He then showed the map of how a group of 11 Sukhoi-24 (NATO name Fencer) supersonic attack aircraft taking off from Monchegorsk air base on the Kola Peninsula flying out in the Barents Sea before taking a 180 degree turn into an attack formation towards Vardø. Vardø is Norway’s most northeastern town. 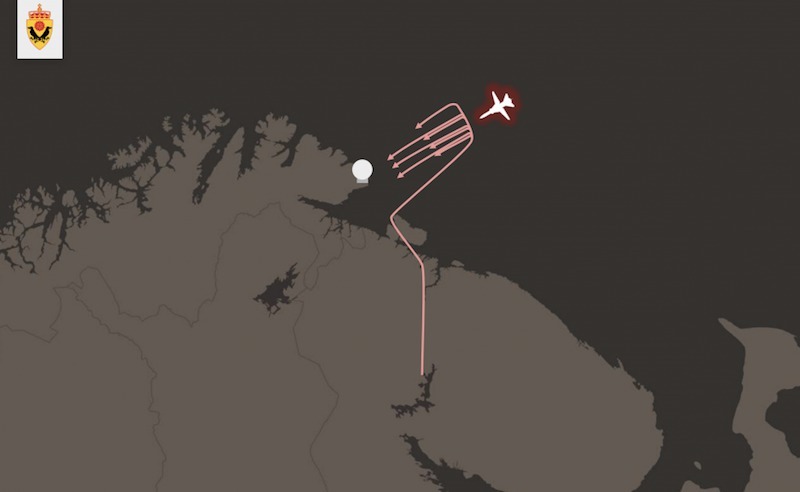 Click here for the full story, on the Barents Observer website.